Looking for your next after Dinner treat? 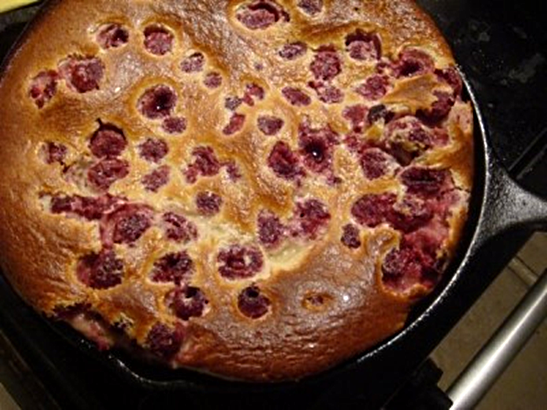 Why not give this Raspberry Clafoutis Recipe a go. Below we have listed all of the ingredients, with all the steps needed to make it yourself. And hey, we’ve even thrown in some nutritional information for you, yes, we’re that nice :). Preheat oven to 180c (160 fan), 350f, gas mark 4. Grease flan dish or deep pan with butter. Make a batter in food processor by whizzing together the eggs, flour, cream, coconut & extract. Pour into dish. Scatter over raspberries & bake for 30-35 mins. Have a go yourself and let us know how you got on by tweeting us at @foodofleeds! And If you’re looking for a sweet summer drink to wash your dessert down with, check out our Recipe for Passion Fruit Smoothies!